Download "Preparing for your Maternity Stay"
It is very important to choose your baby’s doctor before coming to the hospital to deliver your baby. Find a pediatrician online or call 1.855.HHC.HERE. Enter Hartford Hospital through the Emergency Department. You will be directed to our labor & Delivery elevators, which will take you to the Labor & Delivery Admissions area on the 6th floor. You may use our valet parking service located outside our main entrance or our visitor public parking garages – fees apply. Courtesy parking is provided on your day of discharge. View our visiting and parking guidelines. You can select up to three support people. They will be given pink visitor identification bracelets which are nontransferrable. Support people must be over age 16 and must remain in your room to ensure the privacy of other patients. Your support people may go to the Family Lounge when appropriate, such as during exams or procedures. Following delivery, siblings of your newborn may visit for a short period. Other children may not visit in Labor & Delivery. In the event of a Cesarean section performed under a regional anesthetic, one support person may accompany you into the operating room and recovery room. Your remaining support people will be asked to wait in the Family Lounge. If you are a high-risk pregnancy patient, you may have two visitors at a time between 12 and 8 pm. Siblings of your baby may visit under the supervision of a designated family member. Visiting on the Maternity Unit may begin following the completion of the newborn’s in-room admission. Husband/significant other, grandparents, and infant siblings can visit at any time after admission to Maternity/N8. For late night visits after day of delivery, the patient must notify nursing staff so visitor is expected and infant safety and security can be maintained. All other family members and children may visit from 12:00pm to 8:00pm only. An adult, other than the patient, is responsible for supervising children who are visiting and must not leave them alone in patient rooms or waiting areas. One overnight visitor per room. No siblings/children under the age of 16 years old are allowed to stay overnight. Visiting on Maternity/N8 may be limited at times to ensure the rest, care and privacy of Mom and baby. 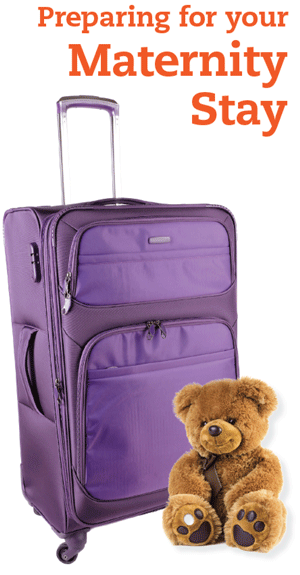 Pack your suitcase and baby’s bag before you come to the hospital. They can be brought in after you have delivered and are in your room. You are welcome to bring any items you need to keep you comfortable in labor. We will give you a gown in the Labor and Delivery area. Your baby will be placed on your chest following birth. 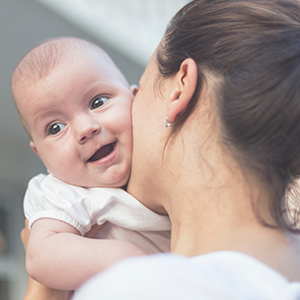 Skin-to-skin provides numerous health benefits for your baby such as stabilizing body temperature, heart rate, and breathing. Skin-to-skin also helps you bond with your baby and start the first feeding. Your baby will stay in your room with you following birth. This will allow you to learn your baby’s needs and give your baby warmth, comfort and security. The staff is here to answer your questions and teach you about caring for your baby. Obstetrics and pediatrics will be involved in the discharge of you and your baby on the day you go home. Your infant’s car seat must be brought to the postpartum unit on discharge day. Send the majority of your personal items home the day before you leave to expedite the discharge process. Hartford Hospital knows breastfeeding is important for you and your baby. We offer a support group that meets every Wednesday at 11:30 am in the Bliss 6 Day room to answer your feeding questions after discharge.